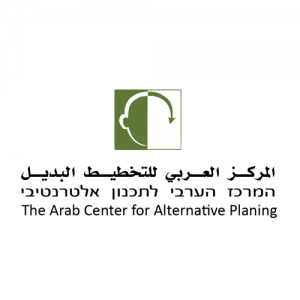 The Arab Center for Alternative Planning (ACAP) was established in December 2000 with the aim to become an address for the Arab citizens of Israel and represent their genuine needs and interests on issues of planning, land, housing and development. In the long term, ACAP strives to close existing gaps between Jewish and Arab citizens of Israel in various spheres of life, including housing, planning, infrastructure, employment, transportation, social services, education, and environment. In January 2004, ACAP was recognized by the Ministry of the Interior as a public organization with the legal right to intervene in official planning procedures as an independent legal entity. This was a landmark achievement since ACAP is the first and only Arab NGO ever to gain such prestigious and influential status in Israel. ACAP’s main objectives are to empower Arab municipalities, mayors, leaders, planning professionals, and the public to protect civil rights related to land and planning; and to advocate state institutions for equitable and democratic planning practices and policies towards Arab citizens of Israel. ACAP systematically monitors, evaluates, responds, challenges and follows state plans and decisions, identifying those that adversely affect the Arab minority in Israel and compromise their planning rights. ACAP then works through planning and advocacy channels to challenge these plans and decisions and offer appropriate alternatives. In order to raise awareness of local authorities personnel, planning professionals and the general public, ACAP holds workshops, roundtables, seminars and conferences in which participants gain knowledge on planning issues, planning problems and their effect on their localities, and ways to deal with these. In addition, ACAP holds workshops, initiating dialogue between state planners, government officials, and Arab planning professionals and local leadership, in order to develop mutual understanding and awareness, as well as cooperation regarding planning issues. ACAP implements planning research to examine predominant issues and problems. ACAP also provides planning counseling services to local authorities and representative bodies of the Arab citizens and communities in Israel. The Israel Office of the Rosa Luxemburg Stiftung has been supporting the educational activities of the Arab Center for Alternative Planning since 2012.